"The guy with the most ability should stand at the top!" "The Great Kyou rides General Seifried!" Kyou is the only member of AL4 to lose at the first national tournament, and for his loss to Kai is thrown out of Foo Fighter. Broken by his defeat and driven to madness after days of wandering on the streets, Kyou seeks revenge against Kai and Ren by rounding up other expelled Foo Fighters. Hoping to break into the national competition independently, Kyou takes his vengeance team to the next Kanto regional, but his overconfidence once again proves to be his undoing. Yahagi makes one more appearance in ride 53, jeering at the Brilliant Stars' own expulsion from Foo Fighter. During the Asia Circuit, Kyou and his remnant team resurface, acting independent of the current competition. 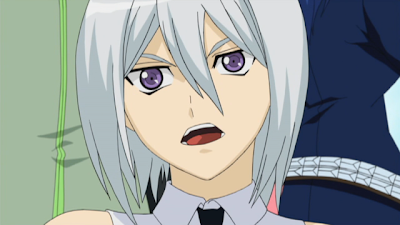 Kyou and his compatriots scheme to draw out Kai Toshiki during the VF Circuit, staging a scenario in which Kyou, under the guise of an abominable snowman, defeats famous fighters from around the world. With the rest of his similarly-disguised team leading said fighters to the "snowman," their plan leads to the defeat of many powerful individuals and to the snowman's rumor spreading, eventually bringing Kai to Kyou's snowfield. As part of "Project Yeti," they would defeat Kai, gain an invitation to the Circuit and then become the top fighters in the world. Project Yeti is sabotaged by his own underestimation of Kai's strength. In their last turn the mountain at the snowfield's back comes apart from the noise, but Kyou, intending to see the fight through even in death, presses on to make his last damage check. Bitterly telling Kai that Toshiki won by luck, he prepares himself to be swallowed by the avalanche. Kai carries him free of the snow. Kyou curses him for doing so, insisting that Toshiki will come to regret having ever saved his life, and that one day Yahagi will defeat Kai. He and his accomplices then adapt an unnamed jungle as their base of operations, eventually putting together a plot to travel back to Japan and hijack Souryuu Leon's airplane to the Japan stage of the Circuit, accosting him and his bodyguards and attempting to replace the team in the Japan stage. As in his fight with Sendou however, Kyou is defeated by PSY Qualia. Manga Biography: Kyou is responsible for overtaking Kamui's old card shop, running out its customers and holding the shop hostage with his fight gloves. 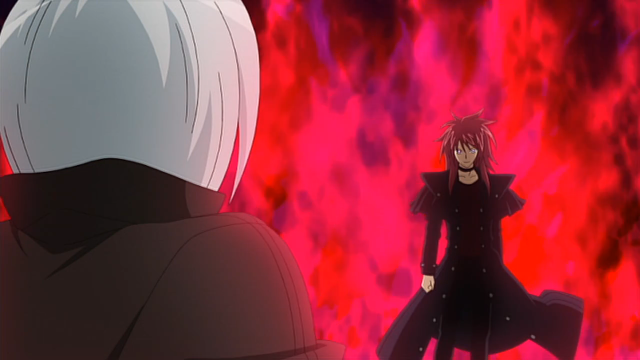 Kamui eventually brings Aichi back to face off with Kyou. In the manga he's painted as a more sympathetic character, with something of an inferiority complex and a desire to prove himself. Later on, he even appears friendly toward Aichi. Universal Notes: His family name contains the kanji for arrow and preparation, coming out as "to build arrows." Kyou is a counterpart to Kamui, made obvious by his use of the "Ore-sama" pronoun. Fan Culture: Kyou is the subject of much fan derision, based on both his initial outfit and his outfit from two years ago, which give him resemblance to a call girl. His flashback outfit influenced a large influx of art on pixiv, leading to the fan nickname "Flashdance Kyou." Kyou uses a Spike Brothers deck, with a heavy focus on removing units from the field to superior call others. This lets him push a highly offensive game, making more attacks per turn than his opponents can. His primary rearguard is Sky Diver, which with assistance from Dudley Dan, can form a combo that superior calls multiple units in a turn. Meanwhile his favored vanguard is General Seifried, which superior calls the grade 3 Spike Brothers that it drive checks. Kyou's deck during the Asia Circuit employs new Cavalry of Black Steel cards, most notably Demonic Lord, Dudley Emperor. The Emperor's limit break allows him to superior call two Spike Brothers units when he attacks, but only to open rearguard circles. Kyou works this into his strategy by cycling his rearguards back into the deck before attacking with Emperor, in one case re-calling the very same Juggernaut he just cycled back in using Emperor's skill. Notably, when this deck is later used against Joker X in ride 94, it shows several cards retained from his season 1 deck, including Yahagi's famous General Siefired. Kyou briefly converts to a Megacolony deck as part of his plot to kidnap and replace Souryuu Leon in the VF Circuit, having been inspired by the strength of insects while traveling through an unidentified jungle. The deck's winning image is based on Megacolony's limit breaker, Martial Arts Mutant Master Beetle, using it and support cards to prevent the opponent's cards from standing with counterblast skills. The deck also takes advantage of the opponent's tendency to use every cards on the field to attack, with Tail Joe and Stealth Millipede, who gain power when all of the opponent's cards are rested, forming 11000-power independent units that can attack opposing cards unboosted, as well as a strong 21000+ line with Master Beetle. Interestingly, the denial nature of this deck is more in line with how he plays in the manga than in the anime. While Kyou's lockdown tactics are highly effective versus Souryuu's Aqua Force deck, he ultimately comes out the loser of the fight and jumps back to Spike Brothers when attempting to sabotage the Japan stage of the Circuit. In the manga Kyou uses a Nubatama deck, cutting down the enemy's hand size, but unlike Ninja Master M his particular deck focuses on preventing the opponent from riding. When his Left and Right Arrestors are at rest, the opponents' vanguard cannot stand; Kyou combines this with the skill of Dueling Dragon ZANBAKU, which stops his opponent from riding a grade 3. These effects were not maintained in the conversion from manga to TCG, and his Nubatama cards became their own separate clan, Murakumo. 1. "Character birthdays." KeroKero Ace Vol. 50 1 Mar. 2012. Print. 2. Cardfight!! Vanguard Ride 30. Crunchyroll, 2011. Web. 22 Apr. 2012. 3. Cardfight!! Vanguard Ride 42. Crunchyroll, 2011. Web. 22 Apr. 2012.